Last night at the Garden Club meeting someone asked me about Saffron. I explained that it was a spice rather than an herb, but later I began to think of my own definition for things herbal and decided I might have been hasty. Just because it is expensive does not mean it is a spice. Spices are generally the fruit or the bark by definition and Herbs are the leaves and flowers, so since saffron comes from the flower of a crocus, I think that makes it an herb. The Greeks called it krokos and the Romans korkum. 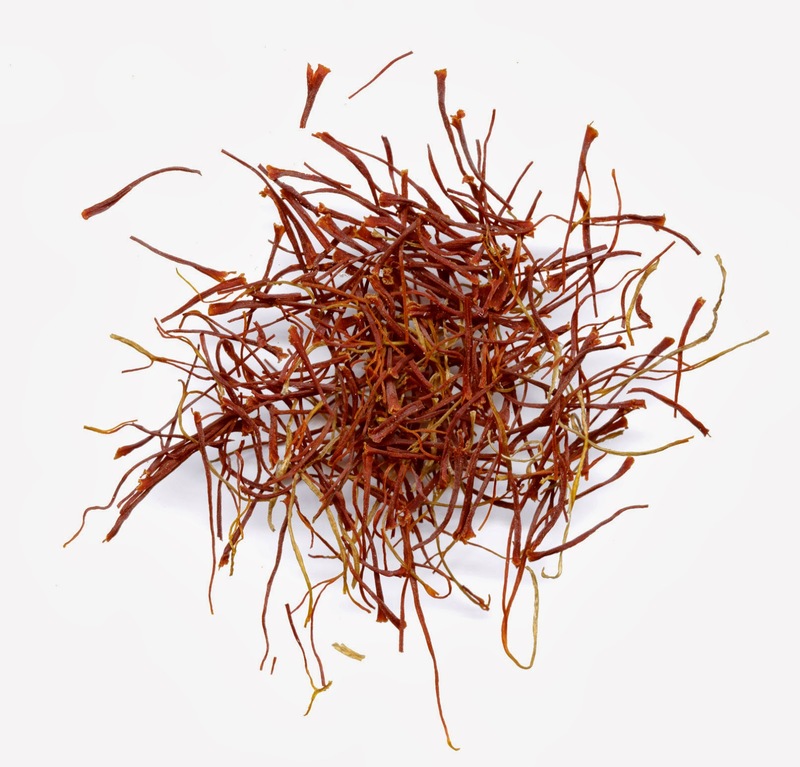 Saffron actually originates from the Arabic word for yellow or zafran. Although the stamen are red, Saffron actually makes a wonderful yellow dye. Since the saffron is only the flower pistils that are harvested and dried it will take 4000 flowers to produce just one ounse of saffron. As a result the dye made from it was used for the clothing of only high ranking individuals. The flower originated in Persia which is now Iran and spread to northern India and the Mediterranean. Following the crusades it became popular in Europe and its value as a trade commodity was increased. In Gerard's "The Herball" of 1597 he claimed that "For those at death's doore and almost past breathing, saffron brigheth breath again." 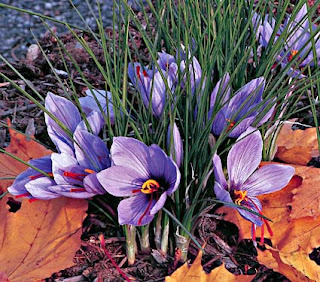 Saffron Crocus is a perennial with linear leaves growing from a rounded corm (or bulb.) The flowers are purple with darker purple veins and yellow antlers and appear in the fall. 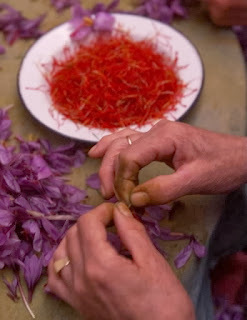 You extract the saffron spice from the three-branched red pistils. The saffron crocus blooms in the autumn, producing 1 to 5 rich lilac flowers with dark purple veins, held wide open above inconspicuous foliage. To grow saffron crocus you need a well-drained soil, sun and warm summers in order for it to prosper and flower. 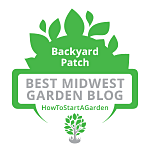 The most interesting part of saffron is that the plants are sterile so only an offset will produce a plant, so you need to replace the corms each year to have a continous crop in your garden. Plant 3 to 4 inches deep in late summer. Likes full sun and gritty, poor to moderately fertile, well-drained soil. Prefers hot summers. Under glass, provide full light with gritty soil and ample water during growth. Keep dry during summer dormancy. It is widely used as a flavoring and colorant in Middle Eastern and northern Indian cookery, especially in rice dishes and a classic paella. It is also used in fish soups including bouillabaisse from France. In Cornwall, England is it used to make saffron cakes and loaves. Saffron is known to have digestive properties, it can improve circulation and helps to reduce high blood pressure. It is the richest known source of Vitamin B2. Externally it is applied as a paste for inflamed skin and sores. Research suggests the spice can boost your mood, by having antidepressant effects and helping to alleviate PMS symptoms. Researchers believe that the spice works by “the same mechanism as Prozac,” helping to make the feel-good neurotransmitter serotonin more available to the brain. 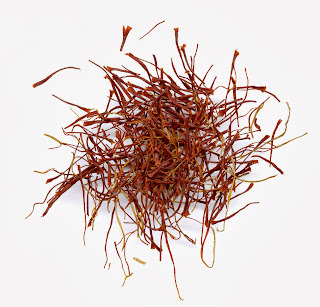 While saffron may be the world’s most expensive spice, fortunately a little goes a long way. It’s used sparingly to add golden-yellow color and a slightly floral flavor to dishes in many countries. If you are not going to grow your own, find it in the spice section of supermarkets, gourmet shops or at tienda.com. It will keep in an airtight container for several years. Sprinkle Paprika over the onion mixture; stir to coat. Cook for 1 minute. Add chicken, salt and pepper; stir to coat. Cook, stirring, for 5 minutes. Add wine and increase heat to high; cook until the wine is reduced by about a third, about 8 minutes. Stir in tomatoes, broth, parsley and saffron; reduce heat to maintain a simmer and cook, uncovered, until the chicken is tender and the sauce is beginning to thicken, 1 to 1 1/4 hours. Season with more pepper, if desired. Pat scallops dry and sprinkle both sides with salt. Heat oil in a large nonstick skillet over medium-high heat. Add the scallops and cook until light brown, 1 to 2 minutes per side. Transfer to a plate. Add onion, celery and garlic to the pan and cook, stirring, until just beginning to soften, about 2 minutes. Add wine and simmer for 1 minute. Stir in potatoes, broth, tomatoes, tomato juice and saffron and bring to a boil. Reduce to a simmer, cover and cook until the potatoes are tender and the tomatoes are beginning to break down, 12 to 14 minutes. Return the scallops and any accumulated juices to the pan along with tarragon. Cover and cook until the scallops are just cooked through, 2 to 4 minutes. All recipes above courtesy of Eating Well. Last night I could not find my saffron recipes. I looked everywhere, so I found a few on Eating Well that I was familiar with and posted those. Today I finally found the recipes I was looking for. First is a great Thai influenced Saffron Rice and the other is a Saffron Cake just like the kind you serve in December for St. Lucy’s Day. Pour stock into a medium-size pot (you will also need a tight-fitting lid). Place pot on the stove over high heat. While stock is coming to a boil, add the turmeric, saffron, chili, and a squeeze of lemon or lime juice. Stir well. Add the rice, plus 1 1/2 Tbls. fish sauce (or 1/4 tsp. salt) and stir. Bring to a boil, then reduce heat to low (just above minimum) and cover tightly with a lid. Cook 12-15 minutes, or until liquid has been absorbed by the rice. Tip: Insert a fork or knife straight down into the pot and push the rice aside. If you see liquid, it still needs more time to cook. When most of the liquid is gone, turn off the heat and place lid on tight. Allow the pot is remain on the burner another 5-10 minutes, or until you're ready to eat. The residual heat inside the pot will finish steaming the rice. The rice will stay warm in this way for 1 hour or more. Before serving, remove the lid and fluff rice with chopsticks or a fork. Taste-test for salt, adding 1/2 Tbls. more fish sauce or a little more salt if desired. Yellow saffron cakes and buns symbolize the sunshine in the long winter months in Sweden. Lussekats are festive yeasty buns served on and around Saint Lucy’s day on December 13. Preheat oven to 350 degrees. Melt butter and let it cool. Crush saffron threads in a mortar and pestle; muddle with 1 teaspoon sugar. Steep 20 minutes in warm water. Butter a 9-inch springform cake pan and sprinkle breadcrumbs around the pan. Beat eggs and sugar, then add saffron mixture. In a separate bowl, mix flour with baking powder. Fold into the batter with a metal spoon. Bake near bottom of the oven for 40 to 50 minutes. Let cake cool, then turn out on wire tray to sift powdered sugar over the top.